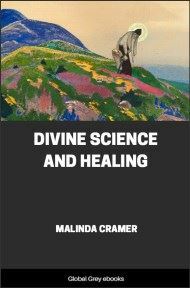 Malinda Elliott Cramer was a founder of the Church of Divine Science, a healer, and an important figure in the early New Thought movement. 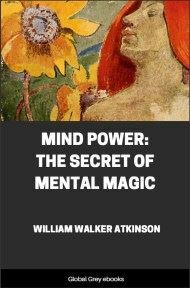 This book was originally published as Lessons in the Science of Infinite Spirit, and the Christ Method of Healing in 1890. 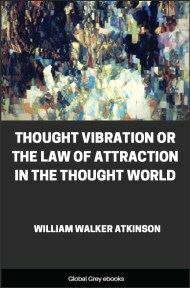 Chapters include: Spiritual Experience In Works; The Effect of Thought; Law of Expression; Denial and Affirmation; Baptism By the Spirit; Expression of Consciousness; The Spoken Word, The Purpose of God; Heal the Sick; Facts About Healing; Faith and Belief A Unit; Overcoming Poverty; Immortality; Questions by Beginners; Theological Questions, and more. He who knows what Truth is, speaks of the One Eternal Self-Existing Source and Cause as constituting all that is real and permanent, and of conditions that have passed away as temporary beliefs and opinions. It was early one morning in the year 1885, during an hour of earnest meditation and prayerful seeking, that I asked myself the following questions; they were asked with faith, believing they would be answered, and with a willingness to abide the decision whatever it might be: "Is there any way out of these conditions; is there any Power in the vast Universe that can heal me?" An immediate and all-convincing reply came. 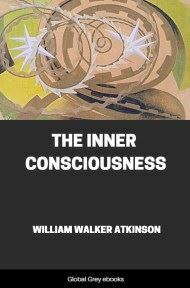 The reply was not an audible voice, nor was it an inaudible voice in the sense that it could not be understandingly heard; it was not as one person speaking to another; it was, instead, an intuitive response from the depths of Being, which embodied its very nature. The realization pervaded the body thoroughly throughout, illumining and vivifying its every atom with newness of Life and strength. Instantly Omnipresent Spirit was realized and everything was transformed into Spirit. What I had heard of Spirit, with the hearing of the ear, from early childhood became an actual reality, a conscious living presence. 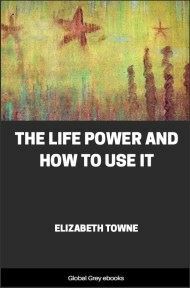 From the depths of this knowledge of the conscious presence of Spirit, or God as all, I felt and knew to a certainty that "If I ever got well it would be by the power of Holy Spirit." I quickly arose from my chair, and walked the floor, saying: " IF, if, if I ever get well it will be by the power of Spirit. Then there is one way out of these conditions; I must seek that way, the Truth of the presence of Spirit." At that time I had been under medical treatment the greater part of twenty-three years out of twenty-five of invalidism. During that period I had received the best of medical advice, which I endeavored to obey implicitly. For the first time I had given up hope of obtaining relief from medicine or through any material means and was determined to do the best I could without it. My good husband and several friends who were anxious for my recovery were urging me to see another physician, a specialist. My case had baffled the best physicians both in the East and in California; twelve had pronounced me incurable. The verdict of physicians, as well as of the best magnetic healers, electricians and the majority of my friends, was, " She is incurable." Out of the kindness of their hearts, my friends urged me to see the specialist, saying: "It will do no harm, if it does no good." Being unwilling to experiment further with medical treatment I found myself opposing their suggestions, but finally concluded to consult two physicians about the matter whom I had come to regard as personal friends; one of them had treated me five years and the other two. I was somewhat surprised when they both advised me to conform to the wishes of my friends, for, said they: "Judging according to symptoms you have need of the services of a specialist." 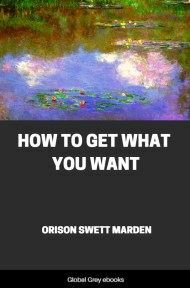 With this advice I grew more positive within myself, which at the time surprised me. My answer was: "I thought you were my friends. I will see no other physician." One morning, shortly after this experience, my husband anxiously inquired what I intended doing in the matter, to which I replied (not understanding the full import of my words): "Get well, of course; but I will not see another physician." 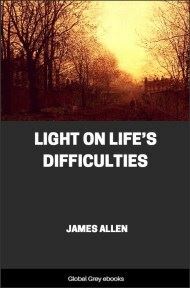 After he had gone to business I thought, "Why did I speak in that positive and determined manner?" I had never before spoken so decidedly in opposition to his suggestion. So I went to my room to contemplate the nature of my conduct and to criticise if I found it merited criticism; but, to my surprise I grew all the more determined to abide by my decision not to see another physician. It was during this contemplation that I asked myself the above questions concerning my healing and received the all-convincing response of realization. The last physician employed, who treated me about two years, said: "The only hope I have of your recovery is based in your remarkable patience and willingness to endure pain and suffering." Quite different this, from the opinion of one of the best and most prominent magnetic healers and physicians who, after having treated me several weeks, wrote: "I would have hope of your recovery if you were not so patiently enduring your conditions, and so submissive to your sufferings; you are altogether too resigned." During the entire twenty-three years of medical treatment I was either taking medicine or applying some external method of cure, fully imbued with the belief that something must be done to recover health. I thought constant doing essential to overcome conditions to which I supposed myself to be subject, the most of which were believed to be inherited. During that entire period there was no realizing sense of bodily ease, mental rest, or spiritual satisfaction. While under treatment in New York, the physician advised California climate as my only hope of relief, which, of course, necessitated a long journey in search of health, which I now know was always with me. I returned from New York to my home in Indiana, where I remained a few months, then came to California. Those who believe they are subject to conditions and environments and believe in the efficacy of climate as a means of cure, will be somewhat surprised to learn that I lived in the breezy and balmy climate of San Francisco fifteen years before experiencing any real and lasting benefit. When I did experience health it was not attributable to the climate, but rather because I had learned that neither locality nor climate is the cause of health, but that which makes whole is One, is whole in all climates and in every locality.